I really love Krenov’s ‘cabinet on a stand’ style of furniture. 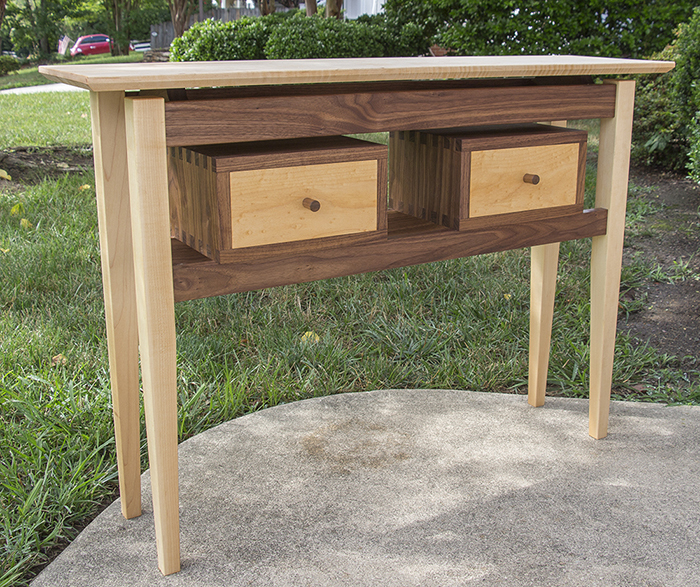 Three years ago, I made a hall table (first photo below) which features two drawer boxes ‘on a stand’; which I think the inspiration came from Krenov’s work (build video series). I wanted to take the design concept of ‘drawer boxes on a stand’ to a side table. 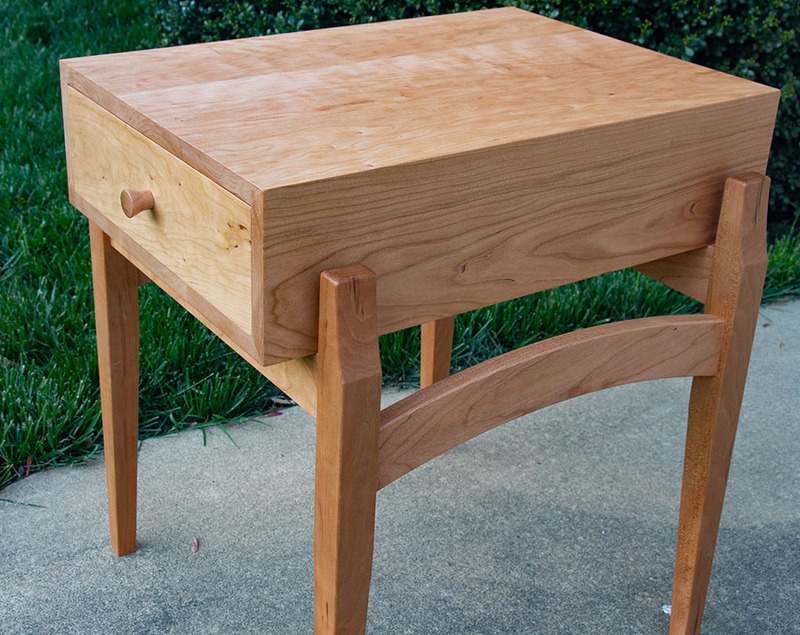 To that end, I designed one with a drawer box that is constructed with miter joints and features cool tapered legs with a decorative curve (a portion of an ellipse) at the top of each leg. You can download the SketchUp file for free here. I filmed >95% of the build and the video series can be viewed here. The third and final video will be published on Friday. This entry was posted on Wednesday, April 18th, 2018 at 10:27 pm	and is filed under Project Video. You can follow any responses to this entry through the RSS 2.0 feed. You can skip to the end and leave a response. Pinging is currently not allowed. The build came great, I really liked the curve you added. The grain also looks really good. really beautiful stuff! love the tapered leg look too.